If you Believe, you can acheive anything! Finally, after so much, the manifestation of my life’s story is here, it is in print, it is published and I hope and believe what I have written will help people across the world in a new enlightening way. This is my story, my memories, the good, the bad, the ugly and the wonderful, the successes and the reality that there is more and we can all find it within each of us. This is the story of what I went through and the people around me were subjected to and reacted to. This is the story of a boy who was lost, all over the place, struggled with school, with friends and just about everything, but with all the struggles, there was always something special within and for many reasons I found that something special and believe with all of my heart and my soul, you will find your something special within you too! 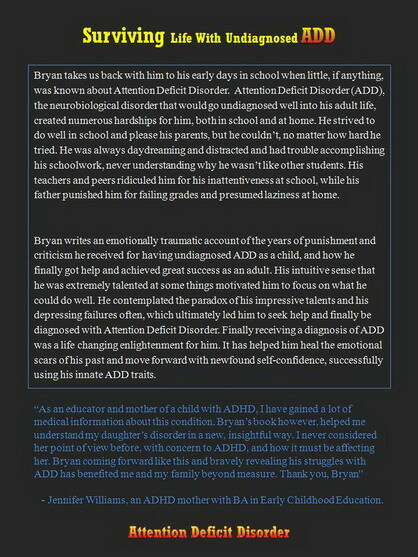 No matter what your relation to ADD ADHD I believe my story will give you a fresh perspective and new insight into what it really is and why it can cause so many problems and emotional devastation, but also why it is a good thing and how it can be used as an advantage, if understood and accepted. ADD ADHD cannot be cured, but the talents and traits that are a part of it can be used for everyone’s benefit. 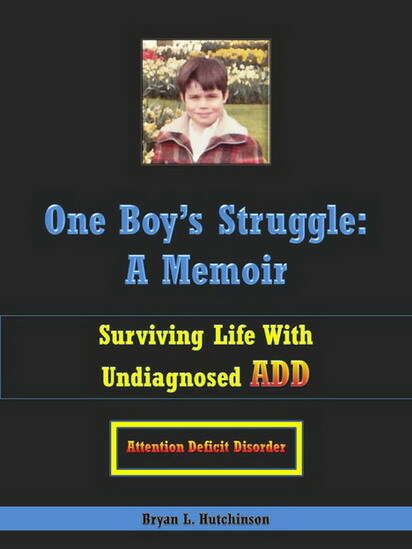 If you do not have ADD or ADHD, it is highly likely that you know someone who does; my Memoir will help you understand us better and realize there is so very much more to ADD ADHD than simple excuses. Most of all One Boy’s Struggle is a story of inspiration for everyone and anyone. Even when certain failure is seemingly imminent, we can overcome, we can achieve and we can become happy and successful. We can have our cake and eat it too. Everyone, at some time or another must learn to control his or her thoughts and actions and in One Boy’s Struggle it just so happens that I had a little extra to overcome, so if I can do it – you can too!